A new photo mosaic featuring the portraits of over 150 geography alumnae has been unveiled at the School of Geography and the Environment this week. The display, which lines the window and walls of one of the School's stairwells, celebrates women graduates who have become leaders in a diverse range of fields - including environmental sustainability, governance, the world of business, the charity sector and education, amongst others. 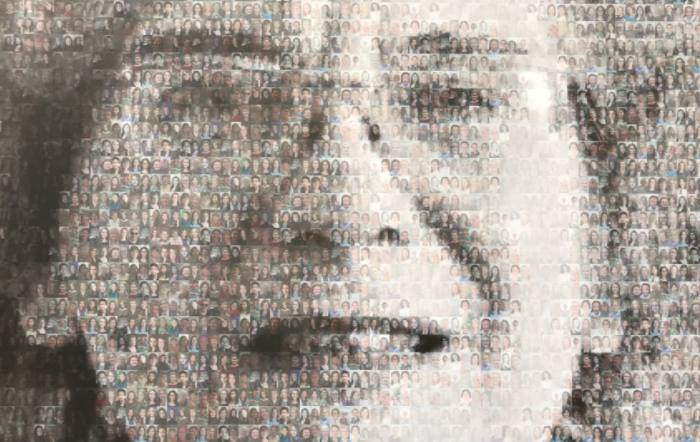 The portraits were nominated by current and former members of the department. Featured women include trailblazers, such as the first woman Director of the Royal Geographical Society (with IBG), the first female president of the Confederation of British Industry, and the first Native American to study at the University of Oxford. From a medal-winning Olympian to a Prime Minister, the portraits aim to inspire the next generation of women geographers to aim high in their future careers. Look closely at the portraits and you will see that each photo is made up of hundreds of smaller photos of other women, all graduates of the School of Geography and the Environment whose lives and careers we also celebrate. The School's Equality and Diversity Officer, Claire Hann, who came up with the idea for the display, which marks the National Year of Women, said: "The aim is to show that the achievements of the few selected women represent and are linked with the achievements of a much wider group of women geographers. "We're keen to celebrate the successes of our women students and staff as much as those of men. It's been great to reconnect with many of our past students through this project, and we hope it will inspire our current students as they pass by the display each day." 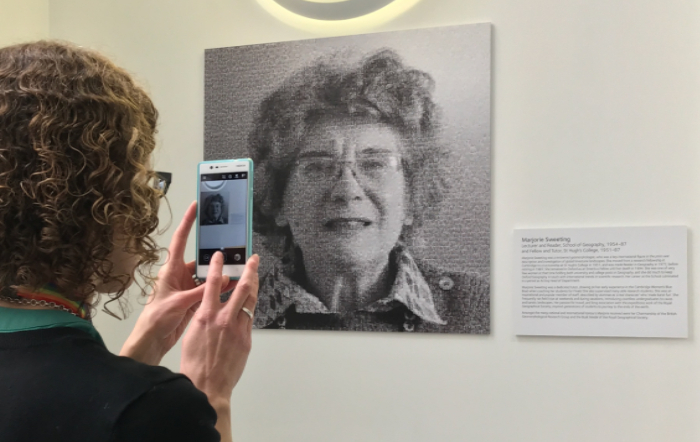 Renowned geomorphologist, and former Lecturer and Reader of the School of Geography (1954-87), Marjorie Sweeting is one of the twelve featured women part of the display.